The postcard is 3 1/2x 5 1/2". 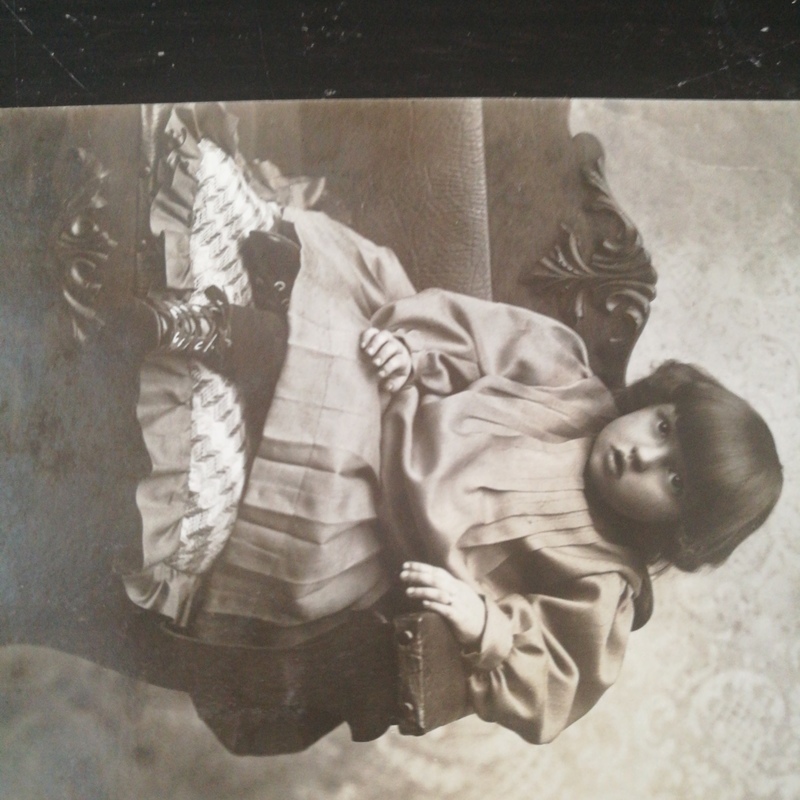 It's of a little girl sitting on a pillow on a couch.. she has brown hair and her legs are crossed the wall paper looks paisley. It is posted with a one cent stamp and the postmark reads Superior, Nebraska 1909. It's in perfect condition. It was a gift to me. Electric home-utility tools, automobile polish.